I originally headed out the door this weekend unprepared for the chilly spring weather wearing flats with cutouts a thin top, a light jacket and sans scarf. As soon as we returned home, and before heading out again, I changed into an old sweater and grabbed my trusty infinity scarf. It’s supposed to be spring but many people are still wearing their winter gear (including gloves although I did a double take when I saw that). To start off the weekend, my fiancé and I decided to try out the new Shake Shack that opened in Chestnut Hill. The line was out the door when we arrived but it was moving at a good pace. The line had managed to wrap around the corner of the building by the time we received our food and sat down to eat. We ordered one shack stack, two shack burgers, two orders of regular fries and a vanilla and strawberry shake. I think the first few bites of my burger were good but by the time I was finished I was very full because it seemed really oily. 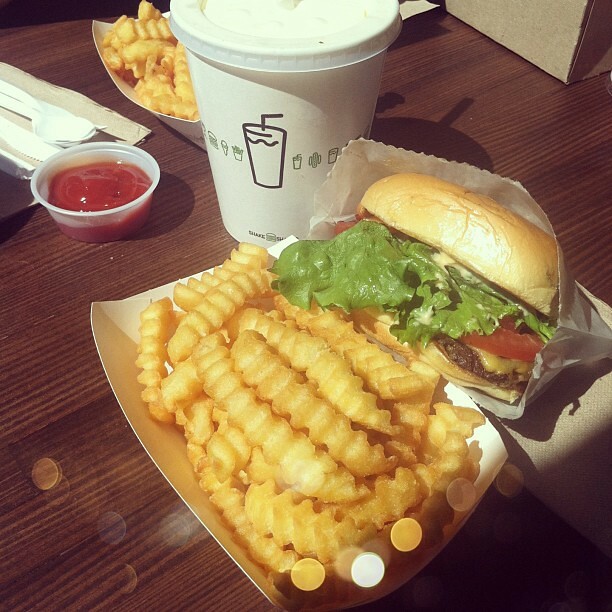 I enjoyed the crispy crinkle fries best followed by my vanilla shake and then the burger. It’s worth trying at least once so you can make up your mind for yourself whether it’s worth all of the hype. Needless to say, my curiosity about Shake Shack was finally satisfied. I was drawn into the dark side by the 40% off promotion at Ann Taylor soon after I said that I was trying not to give in to all of the sales last weekend. 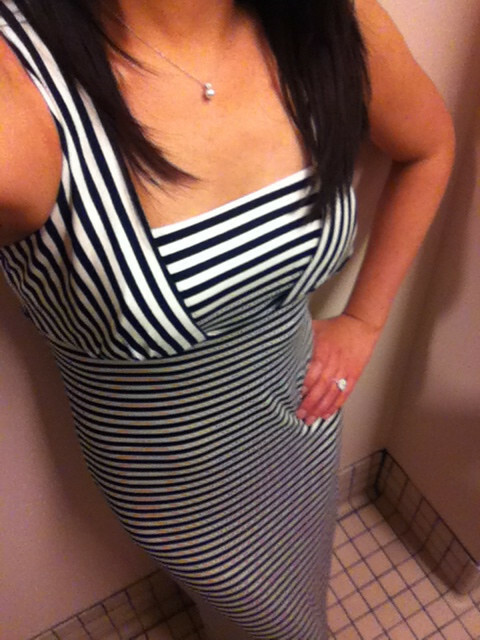 Maxi dresses are mostly misses (see my favorite maxi dress purchased last summer here) but I ordered this striped maxi in XXS Petite. I loved how classic it appeared in the stock image and it looked about the same on me but somehow the wow factor wasn’t there so I promptly returned it Friday night. It’s an online exclusive so the sales associates were cooing and holding it up to admire. I’m not sure why they did this but the straps and the bandeau piece that covers the bust are separate as opposed to sewn together. I don’t see any of the online reviews that mentioned this so I’m not sure if it was an anomaly with the one I received. However, the design didn’t seem to affect the fit and it stayed up as intended while I had it on. The length was perfect on me (I’m 5’2 1/4″) and hit right around my ankles. 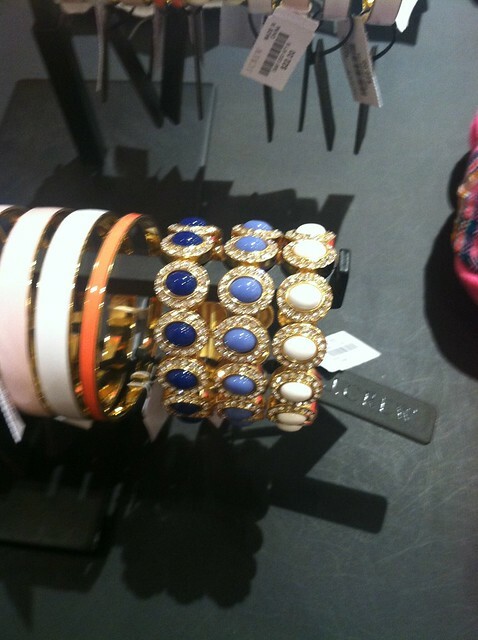 Today I quickly popped into J.Crew and noticed these pretties. I passed but have noted them for later due to no current promotions on regular price items. 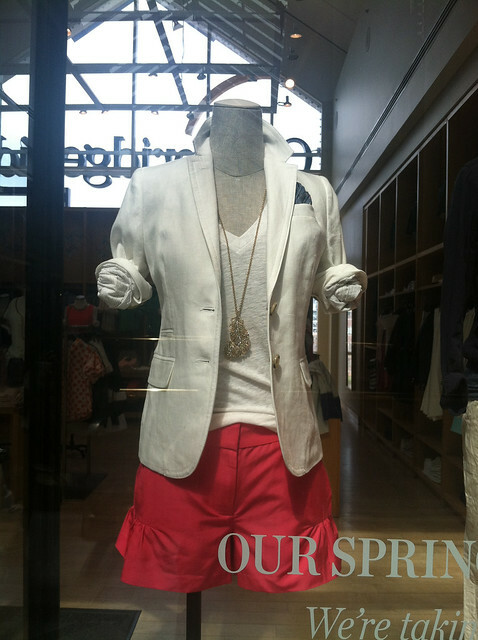 I was too lazy to try on the shorts after eating a big brunch but they seemed really sweet on the mannequin. I’m not sure if these bracelets are new arrivals but I can’t find them online and of course I forgot to take a picture of the tag. They also came in a fourth blush pink color which was my favorite of the bunch. Note for those with smaller wrists- they are bigger than this bracelet from last summer. My guess is that these measure about 7″. 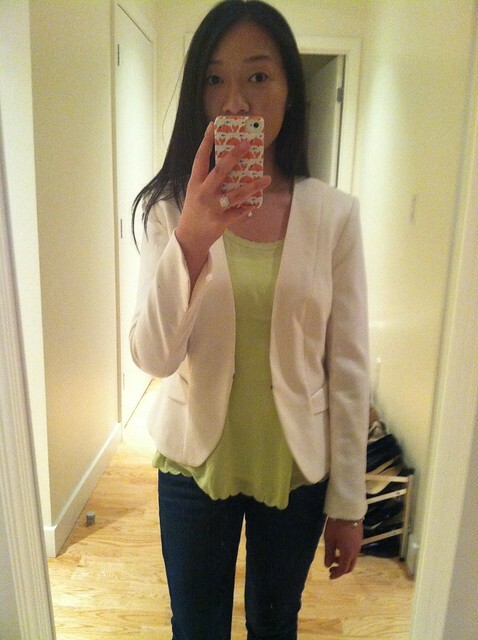 I purchased the above scalloped top in size 2 from the H&M Conscious collection in both white and lime green. I thought they would be so pretty tucked in (see it on Laura here and here). I also got this cream jacket (as seen on Annie) in size 6 because my arms are on the longish side and the sleeves on size 4 were still too short. I certainly have more than my fair share of white and cream blazers so it will need to go back despite the affordable price point. I also think the sleeves are a bit wide/baggy from the side view due to sizing up. Thanks Annie. I keep trying it on and admiring the clean lines from the front but is it worth getting the sleeves hemmed? Time to buy that Hello Kitty sewing machine I showed you. lol You might like the scallop tanks if you can try them on in store first. @Petitehues:disqus got it in white too! Their blazers run tiny! I'm small chested so size 6 clasps just fine on me. I've never had anything tailored from H&M and I'm not sure if it's worth it.